The magic of live music stems from the intimacy of being in the same room as the performer, but Sam Hadge’s talent is capturing that intimacy for the online world who couldn’t make it to the show. 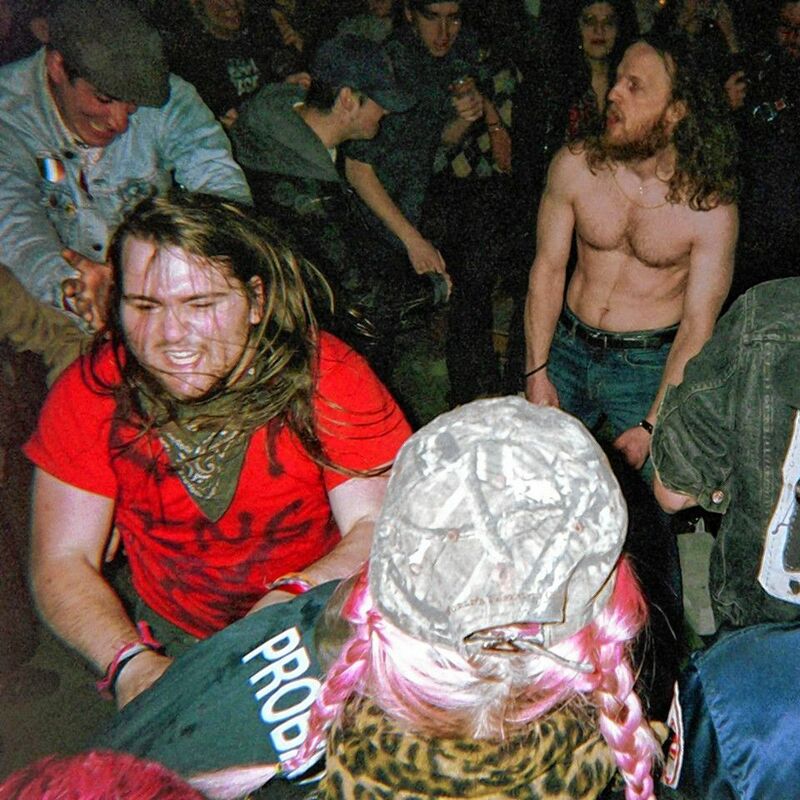 Since I started going to DIY shows with regularity about a year and a half ago, Hadge has been a fixture. It seems he’s at nearly every single show in Western Mass with his video camera in hand, recording each set in its entirety, then posting frames and sounds to YouTube. Featured bands run the gamut, from California X and Dirt Devil to Flame N Peach and New Mom. When I introduced the Basemental column about two months ago, I decided to cover not only musicians, but the entire ecosystem of the Valley music scene. Hadge, 22, has an energy that caught my eye. He often wears floppy sneakers, athletic shorts, and some type of homemade punk band T-shirt, either screen printed or hand drawn. His online alias “Punk Rock Hobbit” is an apt description of him, to say nothing of more specific monikers: video wizard, C.O.D. goblin, and tape machine. When he isn’t making videos, he plays bass in the Amherst punk band C.O.D. and runs the tape label Gray St. Sounds out of his home in Holyoke. When I asked Hadge how he got started, he said he had a peripheral relationship to the punk scene as a 10th grader, but he didn’t really find his own place in it until after high school, when he found a video camera in his mom’s house. He decided to film something for the sake of it. He brought a camera to a show he’d booked — the band BUICK! in November 2014 — because he wished they had more music online. That was the beginning. Sam has now uploaded over a thousand videos. One characteristic of his filming is that the camera moves with the music — in other words, Sam moves with the music. When I asked him about this, he said, “I think it’s cool,” suggesting that it was an aesthetic choice, before citing Japanese director Shogo Ishii as an influence on his jagged, visually crossed-eyed cinematography. I appreciate that Sam isn’t interested in getting too comfortable with one scene. When deciding which shows to attend, he almost always opts to leave his comfort zone by exploring different bands from a wide variety of sub-scenes. “I try to go to the show with the most bands I haven’t seen, or the one with the most touring bands,” he tells me. I asked him about the Western Mass DIY music scene. He responded with a verbal shrug. “It’s okay. It’s all right. It’s cliquey.” He explained that groups of music lovers will go to shows at certain houses but not others, even if they’re nearby. “It’s weird.” He wishes more people would “intermingle” and push beyond their cliques. Despite using commercial sites like YouTube to release his videos, Hadge makes no money doing it. And he doesn’t want compensation — he just wants credit when credit is due. One point of issue for Hadge is when people use his videos and don’t cite his name. “Just a credit, a pre-copy of the tape, is all I want,” he says. Hadge’s YouTube videos are endless. Even if you never set foot in a basement, his channel will clue you in to the pulse of the local DIY scene and beyond. Basemental runs twice monthly. Contact Will Meyer at wsm10@hampshire.edu.